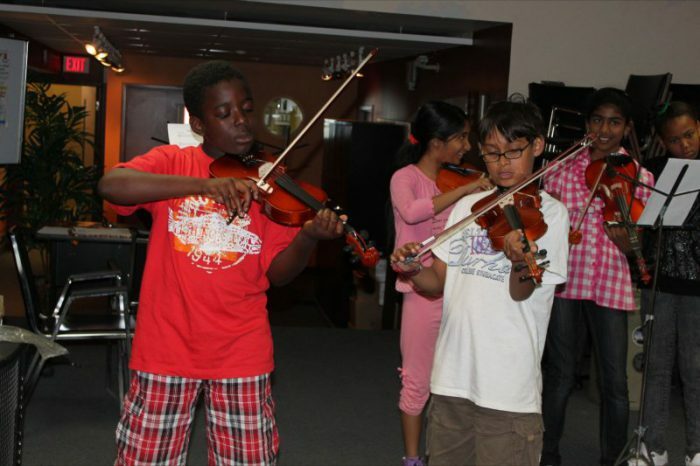 Our first summer camp took place in early July with 14 enthusiastic students from our schools, thanks to generosity of Long & McQuade, who hosted us in their great Bloor Street West studio. With daily instruction from Mr. Hammer, practice and musical games, the children learned more about sight reading, repertoire, and music history. They also benefited from workshops given by friends of The Hammer Band, on such topics as financial planning and independence, the value of music education on future careers, and compassion. The camp finished with a recital, attended by parents, siblings and some Long & McQuade staff. Congratulations to all our summer campers, and a big thank you to Long & McQuade for providing the venue, and for all the children’s parents and relatives who brought them to the camp every day.